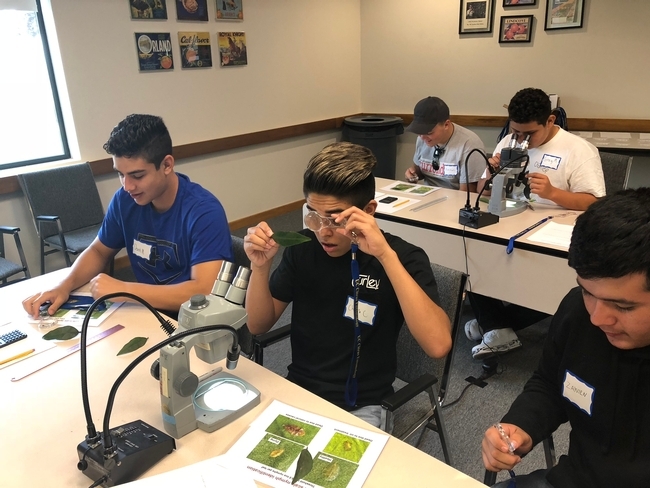 Thirty Hanford Ag Academy 9th grade students, led by teacher Jason Ferreira came to Lindcove REC to experience Agricultural Science on August 30. 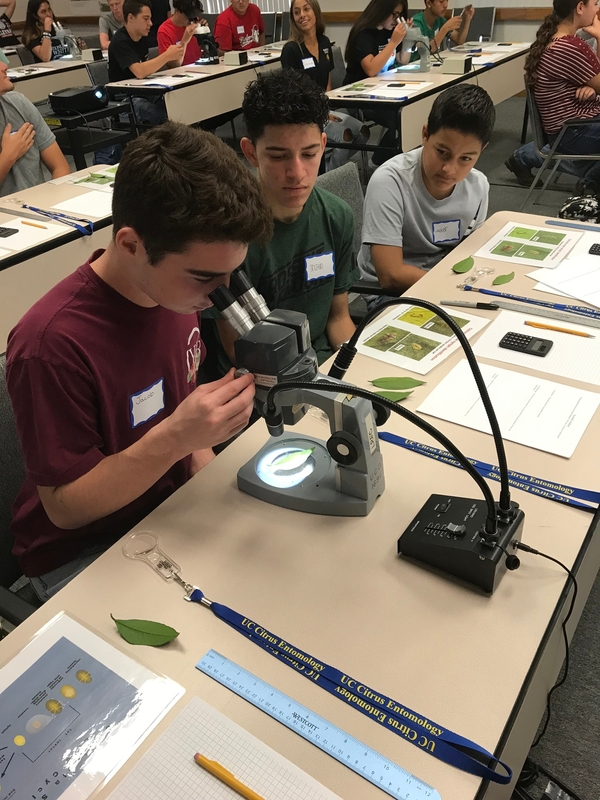 Students studied the biology of the citricola scale, collected scale-infested leaves that had been treated with various chemicals, evaluated the survival of the scales, and calculated and graphed the response of the scales to the treatments. 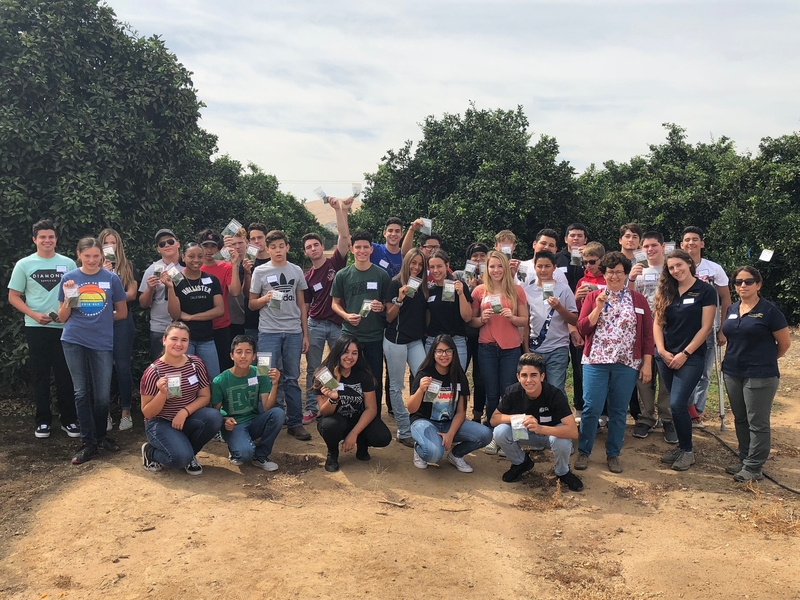 This annual event provides the students with a real-life example of how science is conducted in an agricultural setting. 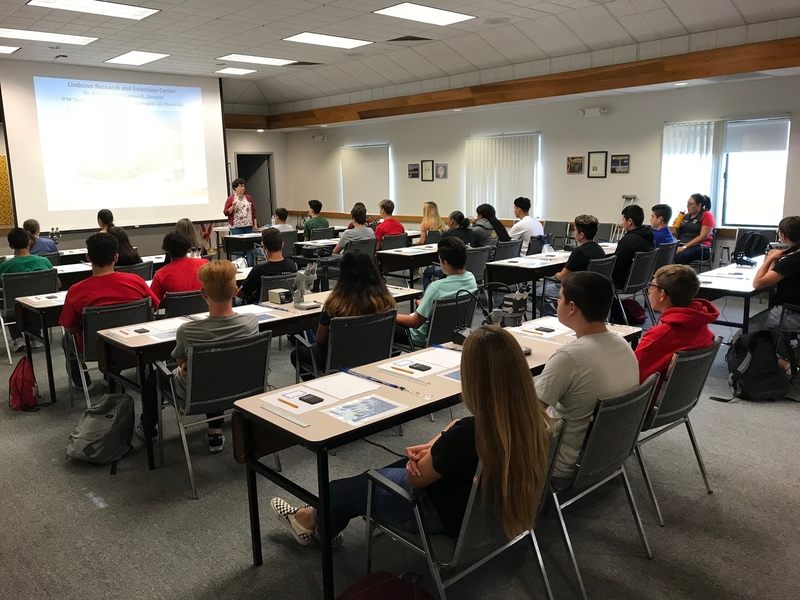 Dr. Beth Grafton-Cardwell and her assistants Stephanie Doria and Narges Mahvelati taught the class.